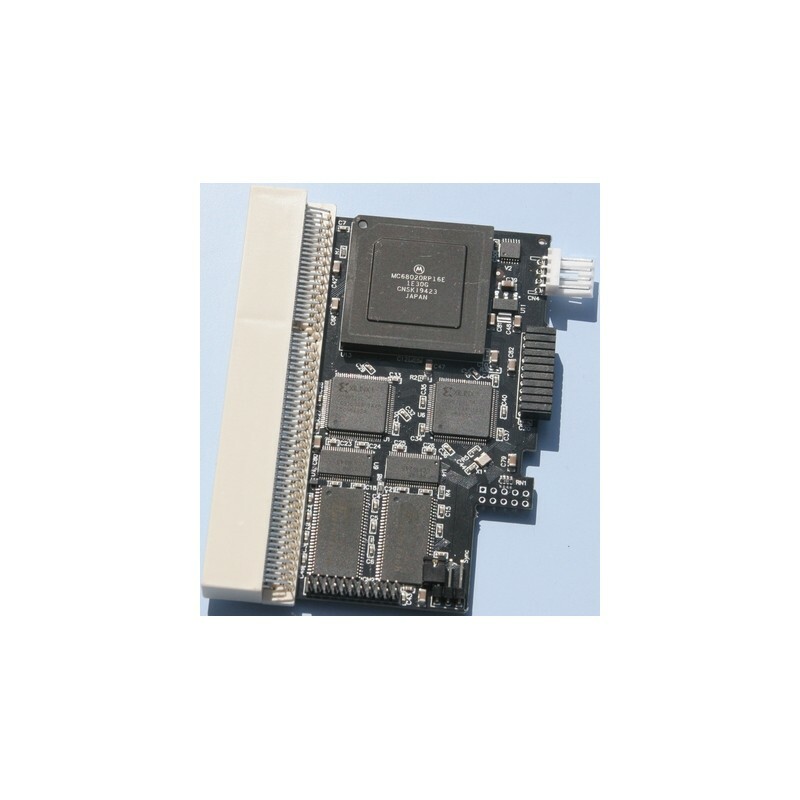 68020EC@25MHz processor, 10 + 6MB ram, 1 x clock ports, 1 x floppy power connector (for powering USB card for example). N.B. 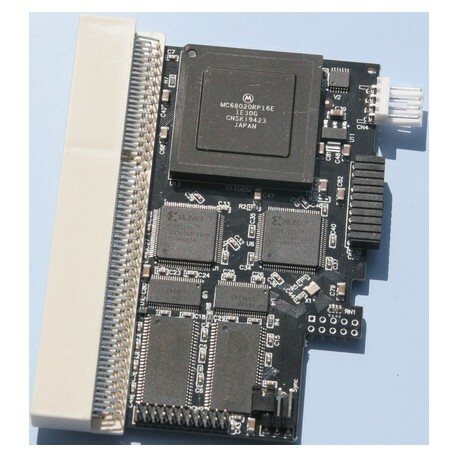 : in order getting all the fast memory integrated on the accelerator board, the 3.1 physical rom are required ! N.B. : specifications can change for clock port and power floppy port !